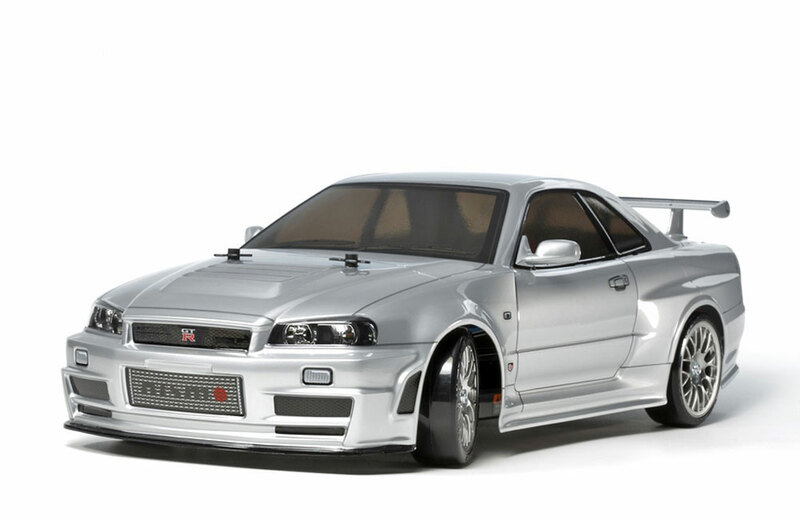 All Products > "58605 Tamiya Skyline GTR R34 Z Tune TT-02"
The R34 was the 5th generation of the legendary Nissan GT-R series of cars; it debuted at the 2005 Tokyo Auto Salon. The Z-Tune version was an even more impressive beast; developed by Nissan's in-house motorsports/performance division NISMO, it was built around a 500hp 2.8-liter power plant that could reach 8,000rpm. It also featured SACHS adjustable suspension and brakes developed in conjunction with Brembo. NISMO also went to work on the body, with racing features such as vents and wider fenders than the original. The body colour was the aptly-named Z-Tune Silver, applied specially for this car. With only 20 production cars made, getting your hands on one is a difficult task, but you can pilot it in R/C form with this model! 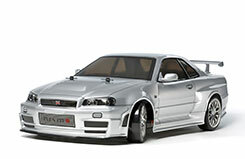 The NISMO R-34 Z-Tune body is mounted on the TT-02D chassis, which is a DRIFT variant of the entry level TT-02 chassis. 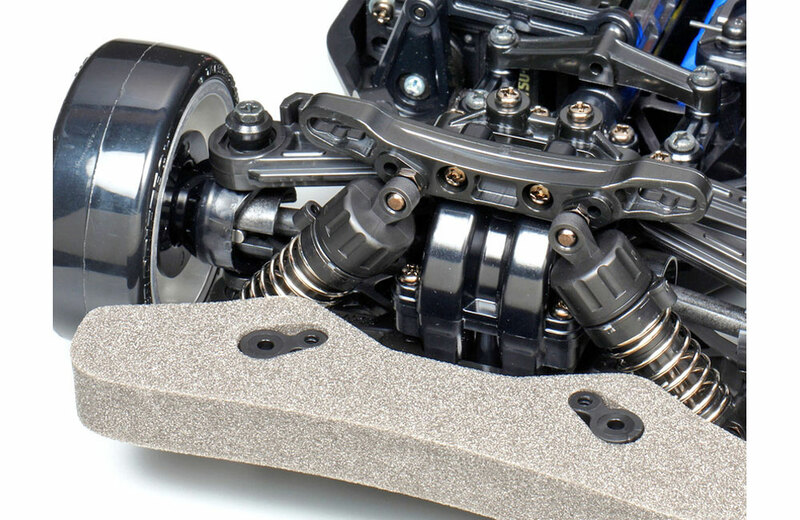 The TT-02 is an entry level 4WD full independent suspension assembly kit that offers ease of assembly and easy maintenance. 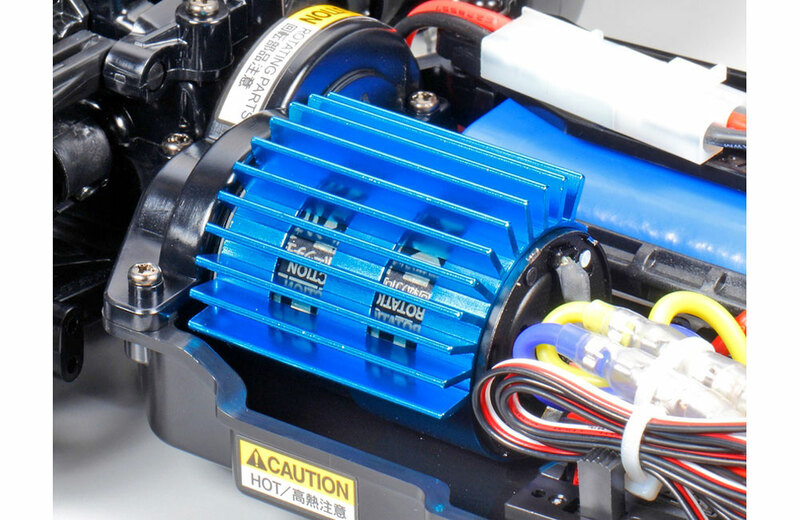 The TT-02D includes special parts to make it a fun to drive drifting machine. 2-Channel Radio, Steering Servo, 7.2 Battery & Charger, Tamiya PS Paint.